The tank was a British invention, the first examples having been manufactured by William Foster & Co in Lincoln. In 1915 Churchill became horrifically aware of the stalemate of the Western Front and how young men were being slaughtered because, whilst mankind had invented bullets and shells, it had not yet found an effective defence against them. Time and again the order would come for an advance and time and again it would fail with horrific loss of life. What was needed was a machine out of HG Wells, a ‘Landship' protected by steel armour capable of travelling over trenches, mud and barbed wire. With Churchill’s influence, it was the Navy who made the first prototypes. The biggest problem was the sheer weight of armour. Eventually two alternatives merged, one with a large wheel and one with caterpillar tracks. It was not Churchill himself who gave the orders for their production, since he was out of office following the disaster of the Dardenells. 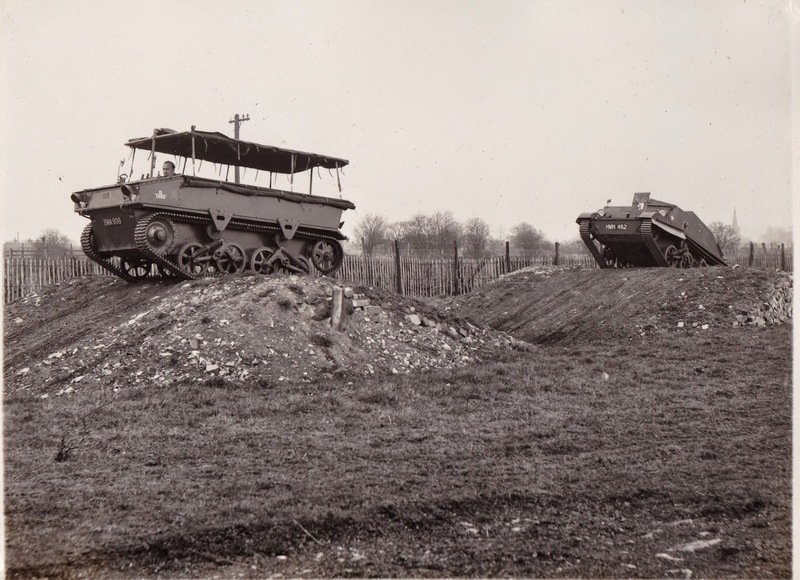 Contracts for the two alternatives were awarded to Fodens for the wheeled version and Fosters for the tracked vehicle. The project was of course secret and it was let known that the factories were producing motorised water ‘tanks’ for use in Mesopotamia, the name though stuck. The tracked version proved vastly superior and over four thousand were produced. When Churchill returned to office as Minister of Munitions, he resumed oversight of the project and so had a hand in the victory at the battle of Amiens in August 1918 when 600 British Tanks sent terrified Germans into headlong defeat. In time they recovered their cool, but crucially morale had been broken by this invention with which Churchill had had more than a hand. Herbert Ellis, in The Autocar magazine of 16 June 1944, reported on an invasion-eve visit to an Royal Army Ordnance Corps vehicle reserve depot where transport was massed for the assault on France. He began though with a a piece of serendipitous history.